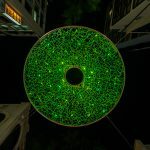 First installed by the City in 1997, Heaven is a suspended disc with fibre optic strands laced through a metal frame suspended at the intersection of Dixon and Little Hay streets in Haymarket. 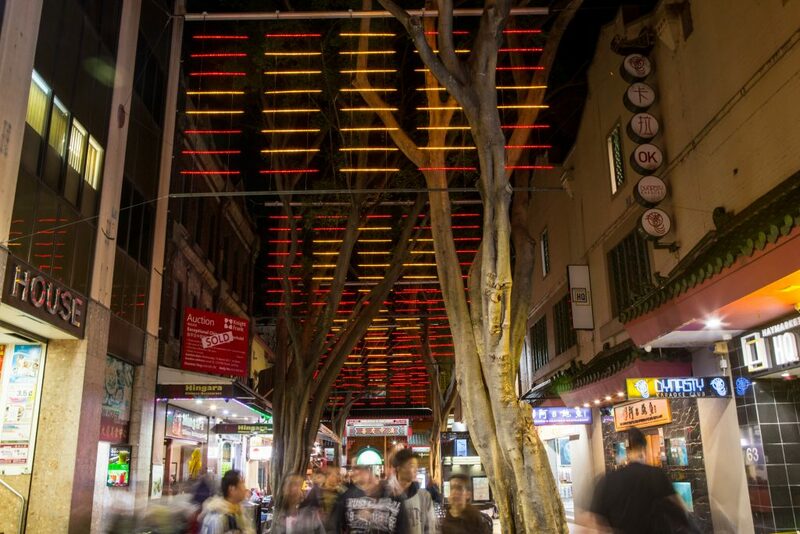 The Dixon Street Light Screens are panels of polycarbonate light strips suspended across Dixon Street. 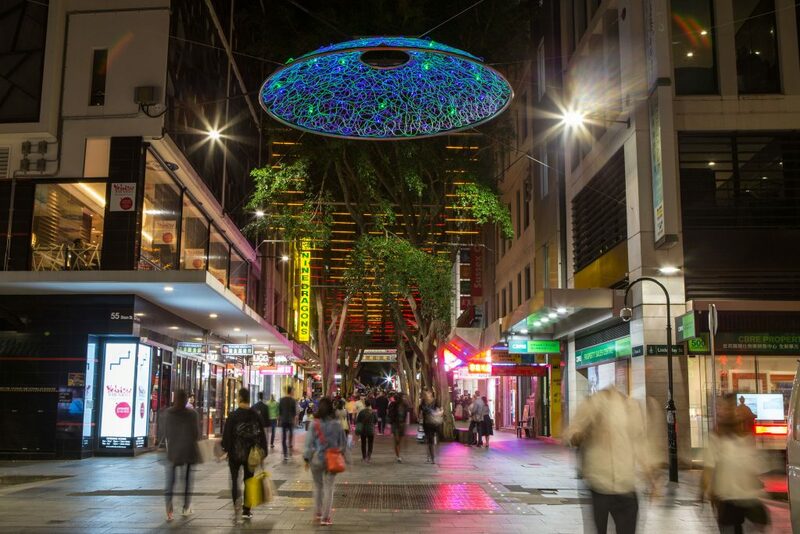 Lit from 6pm to midnight each night, Heaven’s larger fibre light strands change colour each hour, while the smaller fibre strands change every 10 minutes, morphing from purple, to blue, green, yellow, orange and red while the The Dixon Street Light Screens gradually change from orange to red. 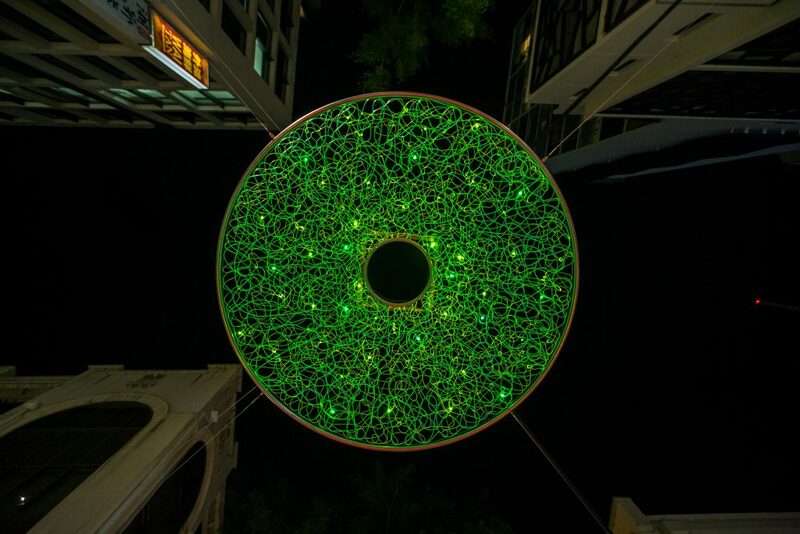 At the stroke of midnight, the two artworks glow bright red. 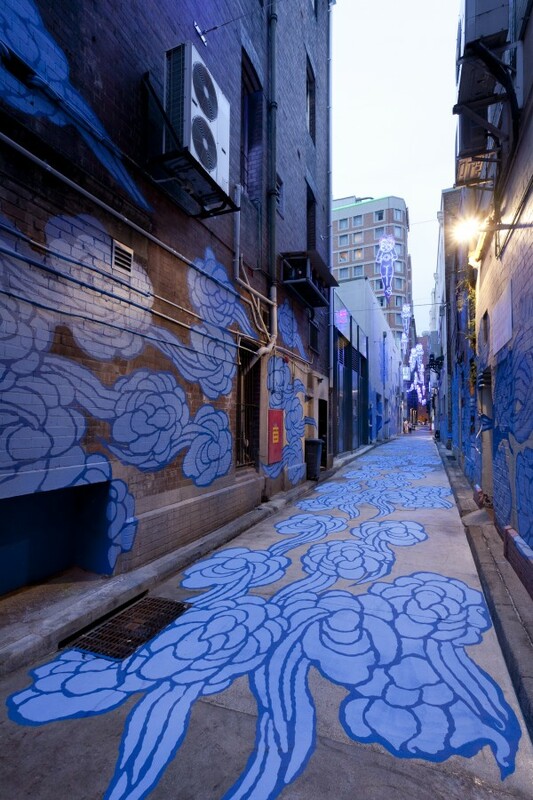 Artist, Peter McGregor drew on Chinese architecture, mythology and philosophy to create the artworks. 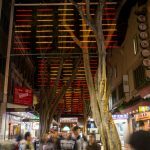 The three works – Heaven, Dixon Street Light Screens and the Little Hay Street wall lanterns depicting modern interpretations of traditional iconography such as dragons and phoenixes – were all laid out and colour coded using Mr Choy’s feng shui diagrams. 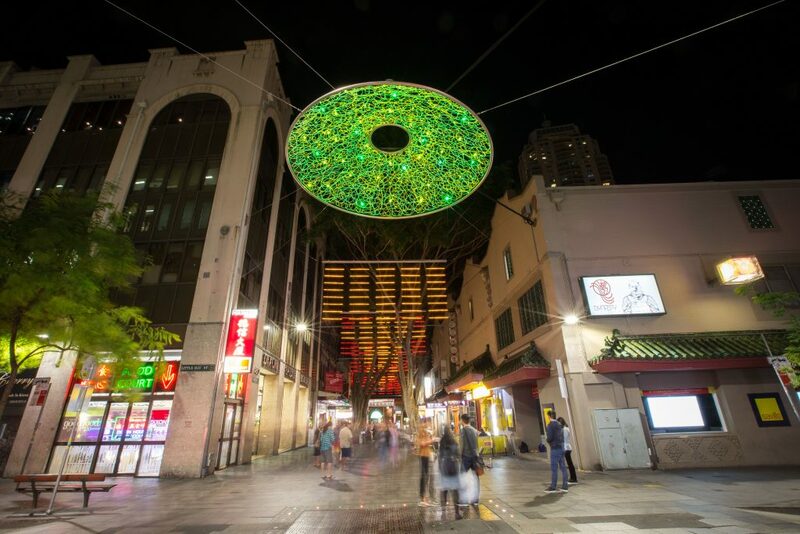 The layout and colour framework for the artworks was originally conceived with Hassell urban designer and architect Ken Maher and architect and Feng Shui specialist Howard Choy and is placed at the symbolic centre of Chinatown at the intersection Dixon and Little Hay Streets. 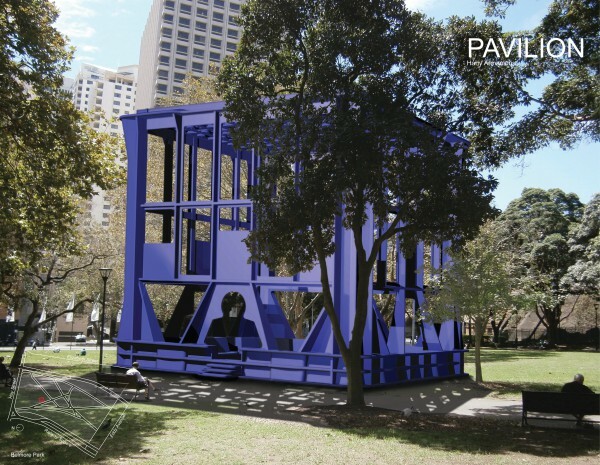 Peter McGregor has studied both art and architecture and continues to practice the fine line and at times large void between both, in a range of projects, including new parks and squares, street and lane upgrades, small public buildings, as well as apartment buildings and houses. 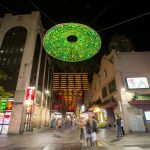 The brightly lit dome and series of suspended light panels were taken down in sections in 2008 and 2013 due to new building construction. 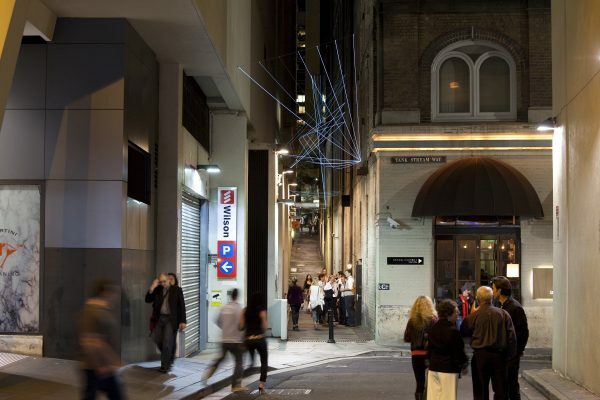 The re-installation of the two artworks on Dixon Street in 2017 followed the restoration four years ago of 14 lantern-shaped light boxes attached to buildings along Little Hay Street. 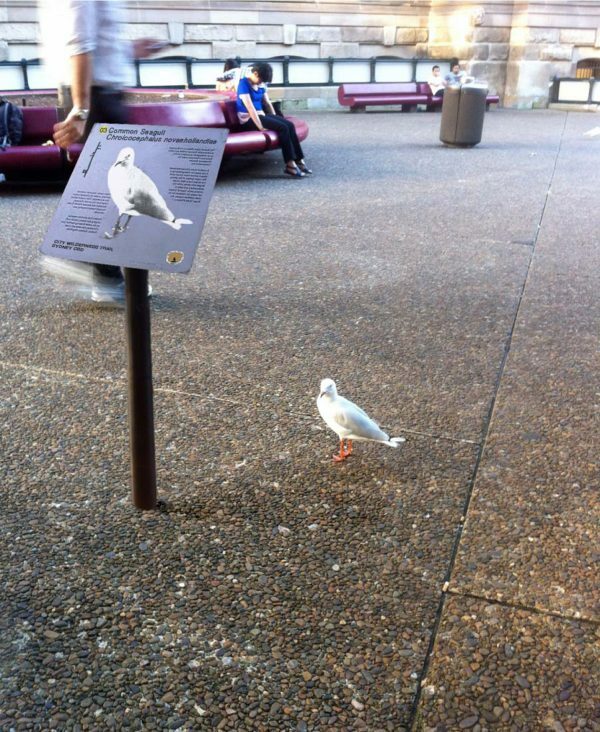 It’s fantastic that it has survived the test of time. 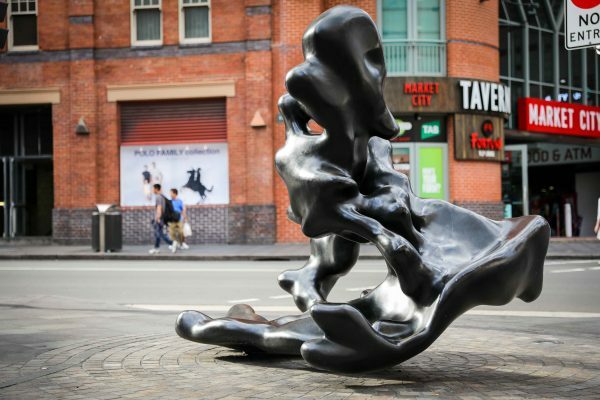 Public art is about creating something memorable and meaningful that works in an everyday space. 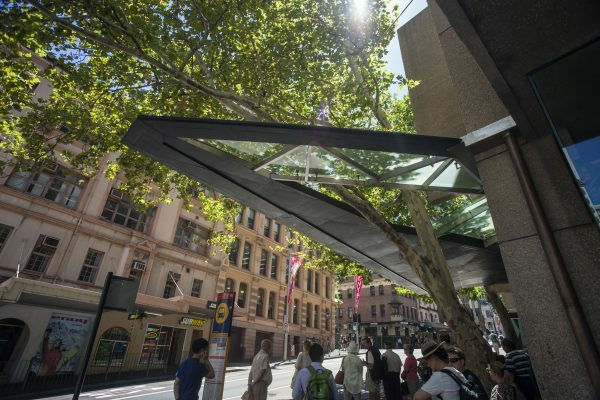 Along with the revitalisation of Dixon, Thomas, Little Hay and Factory streets as well as Kimber Lane, the City of Sydney is transforming Chinatown into a pedestrian-friendly public space, with more trees, lighting, seating and artworks. 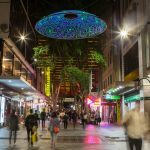 The upgrade of this artwork adds to the rich cultural experiences on Chinatown’s streets, creating a beautiful public space in a bustling city precinct.